If you’re wondering where the Summer went, trust us, we are too! With the temperature getting colder and the seasons slowly changing, it’s important to squeeze out every last minute of outdoor time that you possibly can! So this Fall, we want to help you fall in love with your terrace all over again, with tips on how to optimize your outdoor living space for the season. Happy hosting! You know what they say, lighting is key! 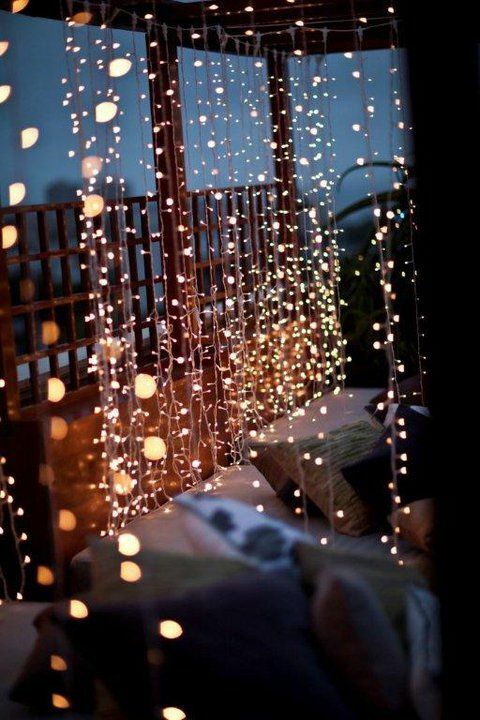 It’s true, one of the best ways to keep your terrace feeling like Summer is with… drum roll please… twinkly string lights! This affordable, adorable and achievable “hack” is exactly what your outdoor space is lacking. Just make sure to buy winter and weather-proof bulbs (Christmas lights work well, too! ), and to turn them off when they’re not in use. This beautiful mood lighting creates the perfect ambiance for a night out on your terrace with friends and family. 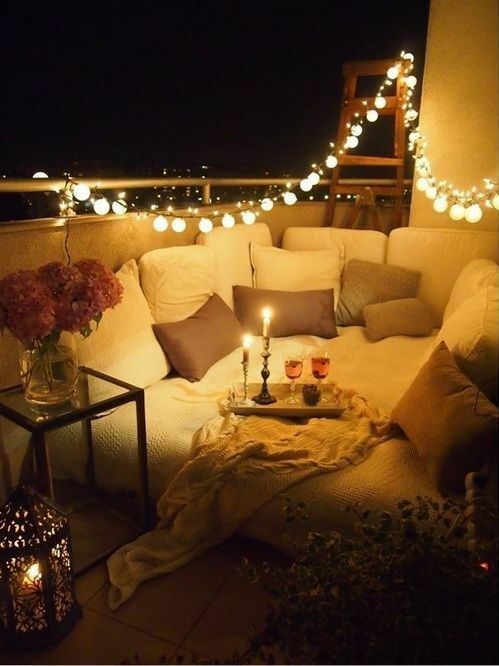 Now go light up your terrace, and invite your friends over before the weather gets too cold! This is our favourite tip (and we think you’ll agree! ), and it’s to decorate your terrace for the holidays! Whether it’s Thanksgiving, Halloween, and later Chanukah, Christmas, and Kwanzaa, you can update, change and stylize your outdoor space to celebrate each season! We especially love these hanging leaf strands, mainly because it’s easily achievable with both real and faux leaves. 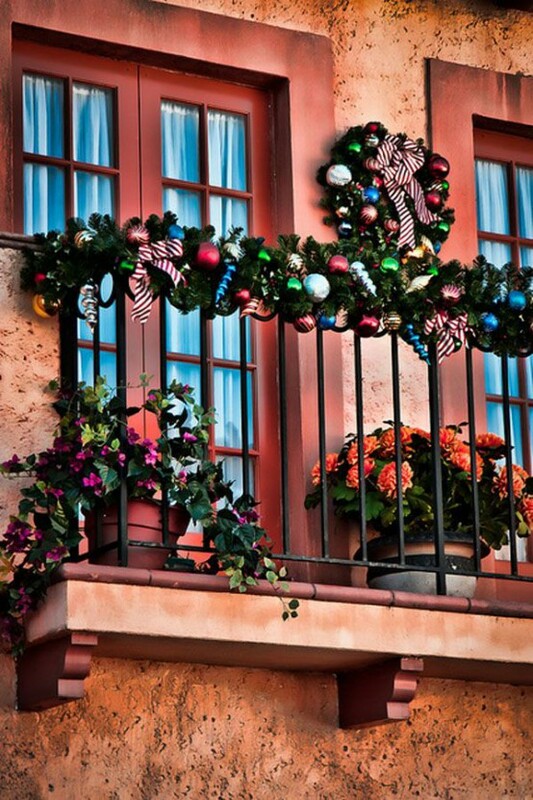 Decorating your terrace adds the perfect touch to all of your holiday parties and get togethers – happy celebrating! The best way to stay warm is to eat warm! Fall is all about cozy sweaters and comfort food, and your terrace parties should reflect just that. For outdoor hosting, we always recommend setting up a “mini-buffet”, so people don’t have to go in and out of your place to get their food. Our favourite Fall “mini buffets” are Chili Bars, Grilled Cheese Bars, Hot Dog Bars, Nacho Bars, Hot Chocolate Bars, and S’mores Bars, and you can read all about them here. The hands-down, most important rule to Fall terrace entertaining is: seating always comes first! During the colder months, people wear more layers, bring jackets and request blankets when sitting outside. 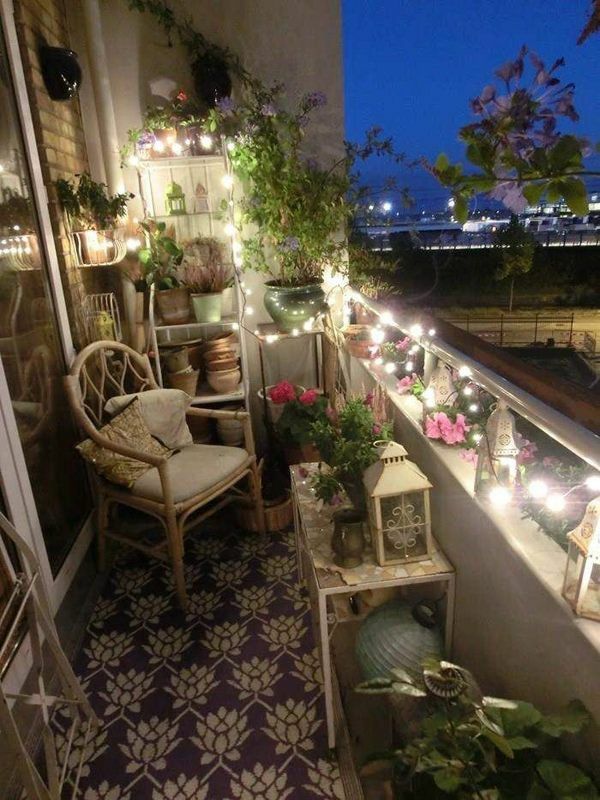 This in turn means, they take up more space than in the summer, and can make your terrace feel smaller than it actually is. The good news is, your seating areas can also be modified to store cushions, blankets and pillows – seating and storage? We call that a win-win! All in all, this September, we hope we want to wish you a safe and happy Fall. And as always, if you would like to learn more about Marlin Spring and our developments, you can visit us here. Happy Fall!